Karen Dee joined the Airport Operators Association (AOA) as chief executive on 1 March 2017. 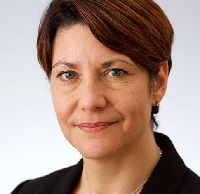 She has more than 20 years’ experience in policy development, communications and representation activities within the transport sector, incorporating roles in government, consultancy and trade associations including the Department for Transport and the CBI. With the UK preparing to transition out of the European Union, the UK border will be centre-stage in our future relationship with the wider world. However, as highlighted by our recent report on the state of the border – reinforced by experiences across UK airports this summer – it is not yet ready to cope with the demands of today, let alone the demands Global Britain may place on it tomorrow. The border is the first calling-card of the UK to overseas visitors, from tourists to investors looking for opportunities. That is why, as the Brexit negotiations continue, and the future of our Border arrangements become clearer, the UK needs to ensure it has the right regime in place to manage any of the changes which come in the wake of this. The forthcoming Aviation Strategy offers a prime opportunity to put the passenger at the heart of plans to provide a UK border, which is both secure and welcoming. The government’s recent announcement about the recruitment of additional staff was, of course, welcome. But, it is clear that passenger growth is outstripping the capacity of the Border Force to manage the influx of visitors. This is not just the case at Heathrow, which has been in the news the most this summer, but at many airports across the UK. And it is not only non-EEA citizens who have felt the brunt of the queues, but quite often UK citizens returning from their holidays or business trips abroad as well as EEA citizens who live in the UK, who are making use of the strong euro to visit the UK or are here to do business. It is vital that the government now takes further action, investing in both people and technology to demonstrate its commitment to a safe, secure, and welcoming border. The frontier will have a starring role to play in Britain’s pitch to attract business and tourism from across the world. Baroness Sugg, the aviation minister, acknowledged this vital service in her speech at the AOA annual dinner, outlining the government’s desire to “deliver a secure border, that allows swift entry to the country for legitimate passengers and goods, and that demonstrates Britain is open for business”. As our report set out at the start of the summer, there is still some work to be done before the Border Force is ready to handle the challenges of the future. Airports, as inherently passenger-facing businesses, have a clear incentive to improve the experience of customers. Yet the border is one element of operations over which they have limited control, and which is driven by different, and not always compatible, objectives. This difference in approach is demonstrated by the current metrics for Border Force performance. Officially, Border Force’s targets have all been met in recent years, largely because they are long-term average wait times and are measured across the whole of the UK. Yet complaints to airports and comments via social media demonstrate there is rising dissatisfaction amongst passengers with lengthy queues at passport control. The official metrics thus create a distorted image of the border: a passenger does not experience an average queue time, just the one he or she is in at any given time. With the consumer being a focal point for government reform efforts, the AOA commissioned a survey through ComRes asking the public a variety of questions on their experience at the border when returning to the UK. The results support industry’s view that the government’s targets no longer meet passenger expectations. The targets, 25min for EEA and 45min for non-EEA citizens, have not changed in years. The public, on the other hand, told ComRes that they expect maximum wait times that are half the current targets. In our report, the AOA set out proposals for achieving a step-change in performance at the border, including a call for greater Border Force transparency and communication between the main players: government, Border Force and airports. Furthermore, a transparent long-term plan for the Border Force, including technological solutions as well as improved performance metrics, would provide airports with the certainty they need on future resourcing concerns. If we get this next phase of the UK’s aviation story right, including a border fit for the type of global trading nation we aim to be post-Brexit, then the sector can continue to grow, add value and support the wider UK economy. That would truly be taking back control over our borders and our future.